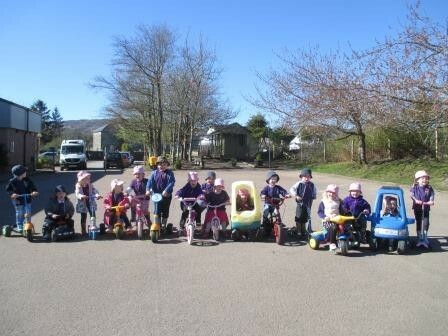 Taynuilt Nursery children brought a variety of bikes and scooters to Nursery as part of the Big Pedal Week and also used the Nursery bikes and scooters on our Wednesday Gym session. This will be done again this week so hope the sun shines on us all again! We hope the sun shone for you. What a fun way to get fitter!